A taco restaurant and bar that had been close to signing a lease at East Midtown Plaza has already made a run for the border. Though initially hoping to move into a retail space last occupied by a Carvel shop and have outdoor seating for 40 people as well as 30 indoor seats, the owners of Cascabel Taqueria pulled out last week. The reason apparently was that the restaurant, which offers bottomless cocktails during brunch at its two uptown locations, would have been limited to a wine and beer license only and would have had to close earlier than its desired closing time of 1 a.m. The limitations, recently imposed by EMP’s co-op board, came after a number of tenants blasted the plan to have any kind of bar operating outside on the area of the complex known as the triangle. 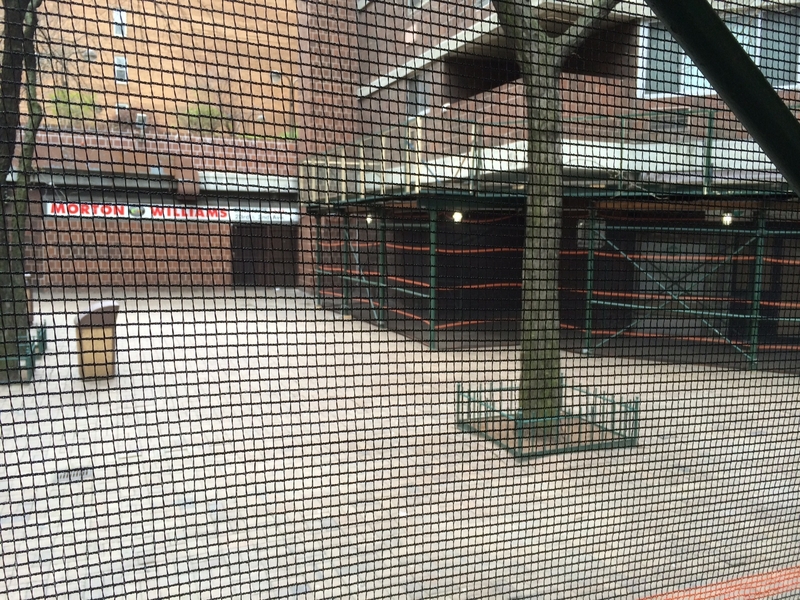 This is currently a common area on East 24th Street and Second Avenue used by residents as well as the public. It’s a popular spot to have lunch when the weather permits it and there’s no alcohol drinking allowed there. Residents were first made aware of the plan to open the restaurant, called Taco 1584, at a Community Board 6 meeting last month when owners David Chiong and Elizabeth Gaudeau requested the board’s blessing for a liquor license. Shelley Winfield, an EMP resident, told Town & Village she was at that meeting and told the owners she hadn’t heard about any restaurant coming. In response, she said the owners said the co-op complex’s board wanted them to sign a lease but first start the process of getting a liquor license. Winfield voiced her opposition to the idea due to noise concerns and CB6’s Business Affairs and Street Activities committee instructed the owners to come back with ideas on how to mitigate concerns about noise. However, shortly before the meeting that was scheduled for Thursday, April 24, the restaurant’s application was pulled from the agenda. Another resident against the plan was John Small, who noted that the space Cascabel would have moved into was occupied by a bar decades ago, which, he said, caused problems with noise, transients coming through the complex at night and rowdiness. Also of concern to Small was that EMP’s co-op board initially didn’t want to discuss the plan for Taco 1584. Small said that at a recent co-op meeting, when the board’s president, Mark Andermanis, was asked about it, he said the matter would be discussed at a “closed meeting” between board members. “They refused to answer questions,” said Small. The decision to impose restrictions on the restaurant’s operation, he added, was only done after shareholders started complaining and distributing fliers opposing its moving in. Winfield, who served on the board of directors from 1996-1999, seemed to agree. “It appears the board shares information after everything is settled,” she said. Andermanis wasn’t available for comment when T&V called him about the issue, but a member of EMP’s co-op board, Mala Mosher, confirmed that the deal with Cascabel’s owners was now officially off the table. “Both parties agreed that they were not going to continue” in negotiations, said Mosher. However, she said the lack of information given to tenants wasn’t intentional, but that when the talks began, the co-op board had not yet been presented with a detailed business plan. Once restrictions were brought up, “I don’t think it was doable for them,” she said. In a letter to CB6 dated April 18, the board said it would have liked to see a license given with restrictions because the proposed space has been vacant for years and is hard to rent because of how small it is. According to another shareholder, Jeanne Poindexter, the last tenant, Carvel, closed after its rent was doubled. Fortunately for EMP, she added, it’s currently the only vacant space in the Mitchell-Lama complex’s retail strip. When asked for comment about the plans being scrapped, a manager at Cascabel Taqueria, who said she fields calls for the owner, claimed to have no knowledge of the proposal to open a location at East Midtown Plaza. Chiong and Gaudeau did not respond to the call from T&V. The restaurant, online, claims it has the best tacos in New York.